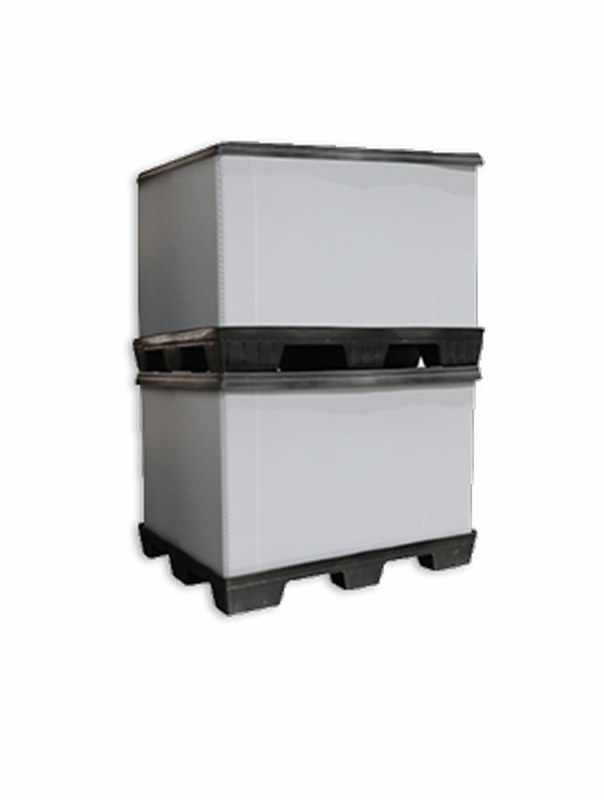 Made from durable recycled/recyclable HMWHDPE that these 40L x 48W x 7H pallets feature 9 legs so they stack and nest neatly to save space in the warehouse. 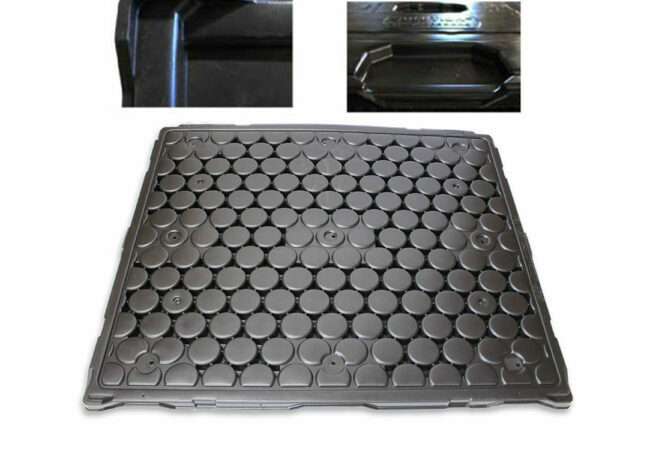 They can be used numerous times leading to a reduction in replacement costs, as well as shipping costs due to lighter than wood pallet weight. They feature a textured surface to minimize product movement. 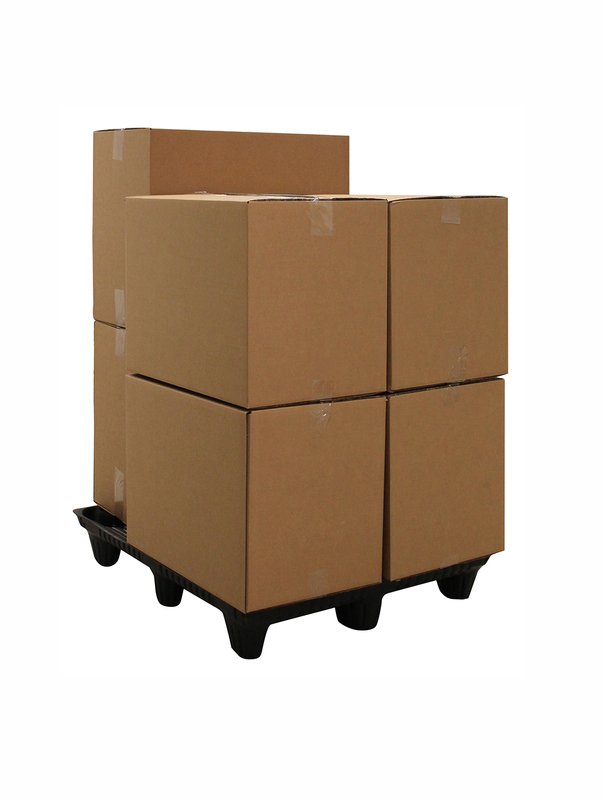 The Stackerboard stabilizes double or triple stacked loads of irregular or uneven products. 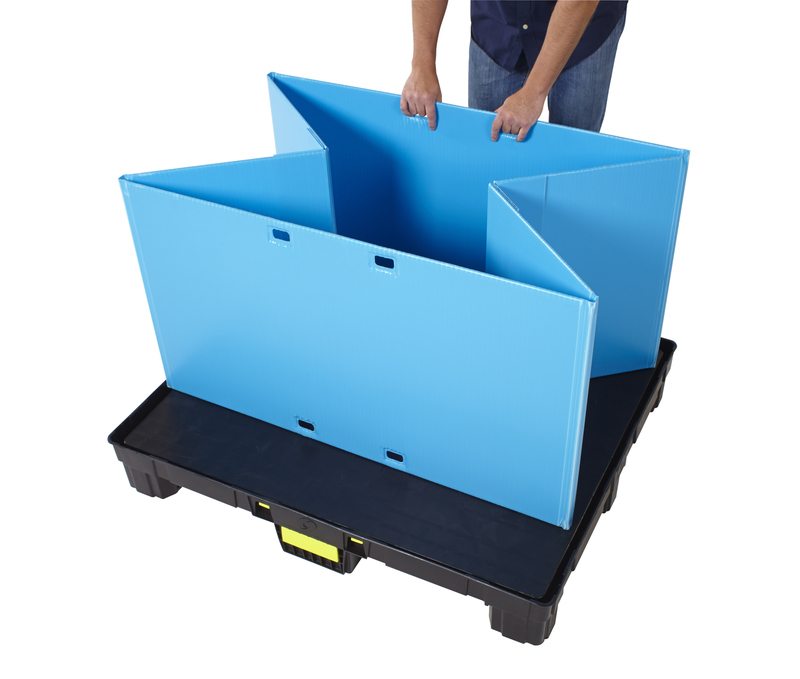 Nine leg placement pockets allow for quick positioning of a variety of 40″ x 48″ pallets. Reinforced alignment corners allow for quick product positioning, recessed banding areas for secure strap hold, and optional banding area and striping available for easy recognition and traceability. 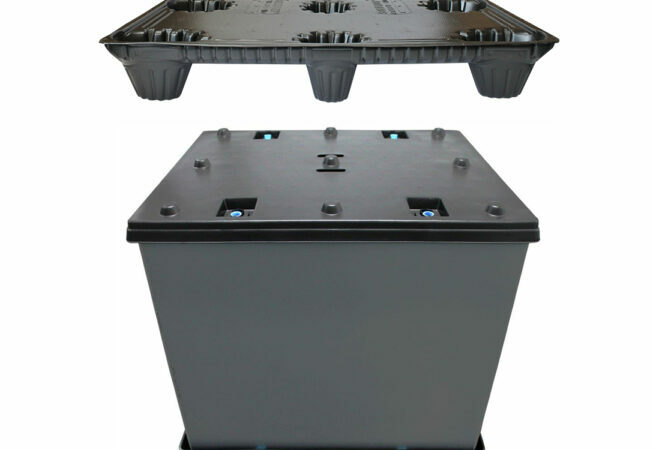 These reusable, returnable heavy-duty bulk boxes are used for large volume, large part material handling transport and storage. 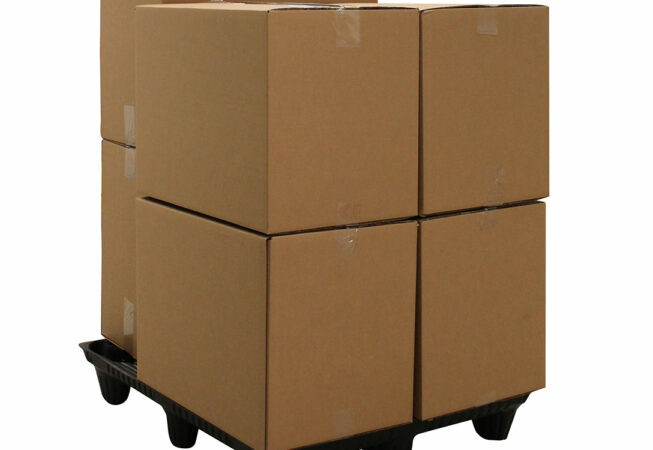 The 40 x 48 box is standard pallet size. 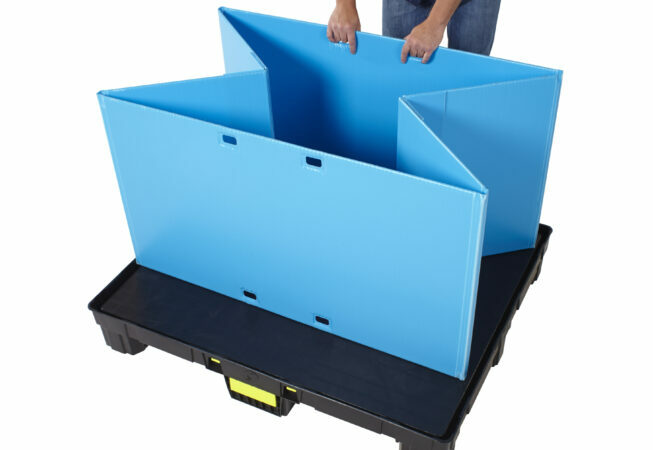 The Sleeve Pack’s 40″ x 48″ pallet and cover is made up of a 100% recyclable high density polyethylene plastic and is strong enough for repeated use and economical for one-way applications. 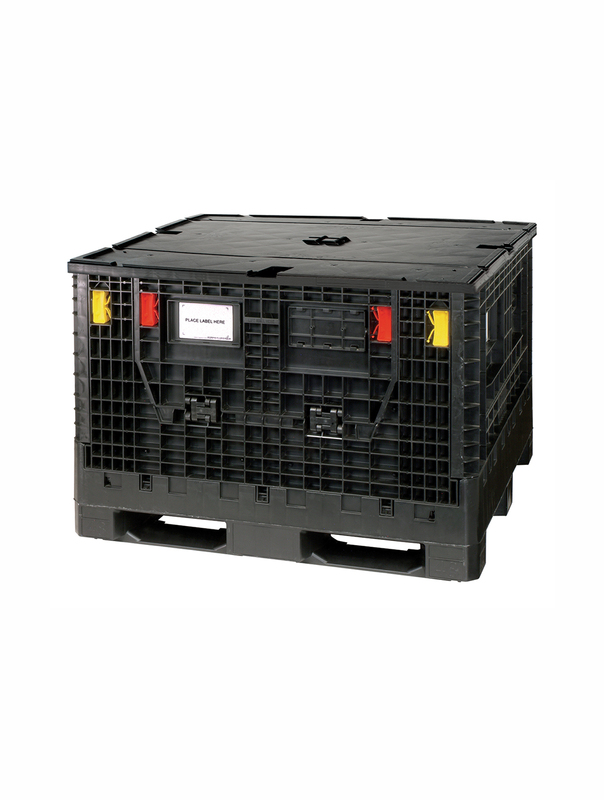 Its locking features secure the sleeve to the pallet and cover, and prevents slips or shifts during transit. They are resistant to punctures from forks and retain their integrity through high humidity or moist conditions. 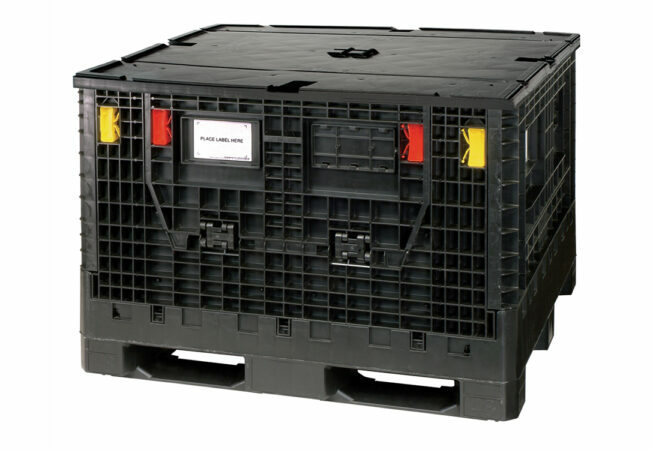 Extended-length containers accommodate long and hard-to-fit components and parts. 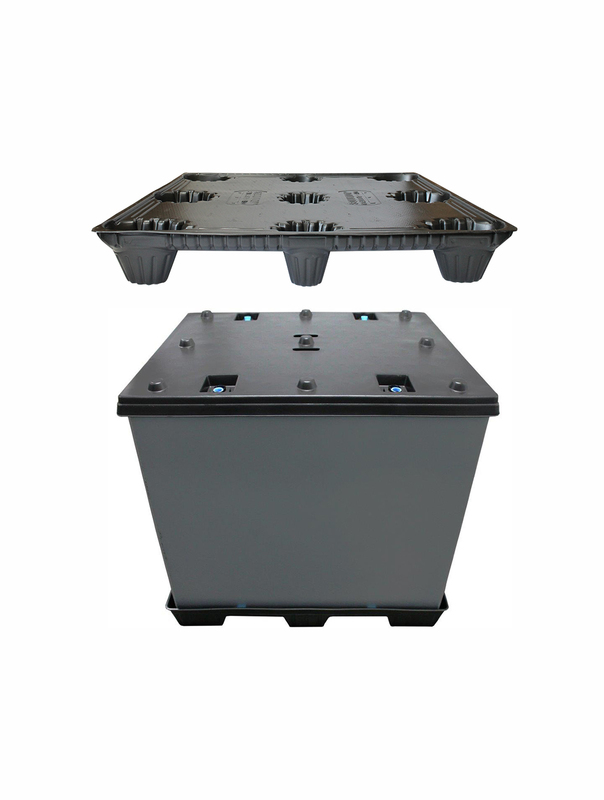 All containers are structural-foam molded in high-density polyethylene for durability and are available in side-loading Maximus styles. Unitized loads can be delivered directly to the assembly line for immediate part presentation, with no unwrapping or unbanding. 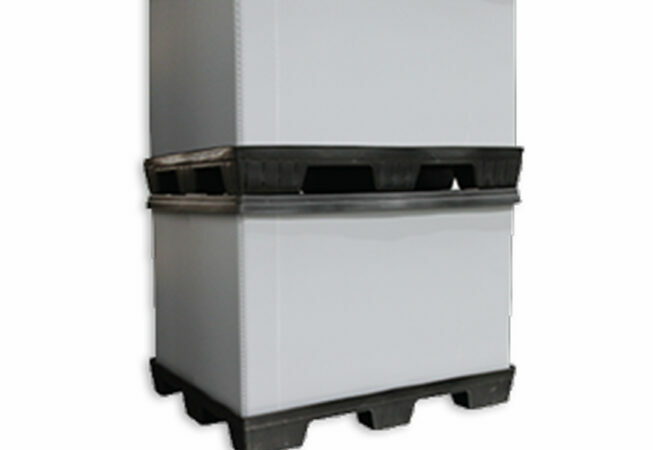 Bulk containers collapse when empty for reduced return transportation costs and warehouse space savings. 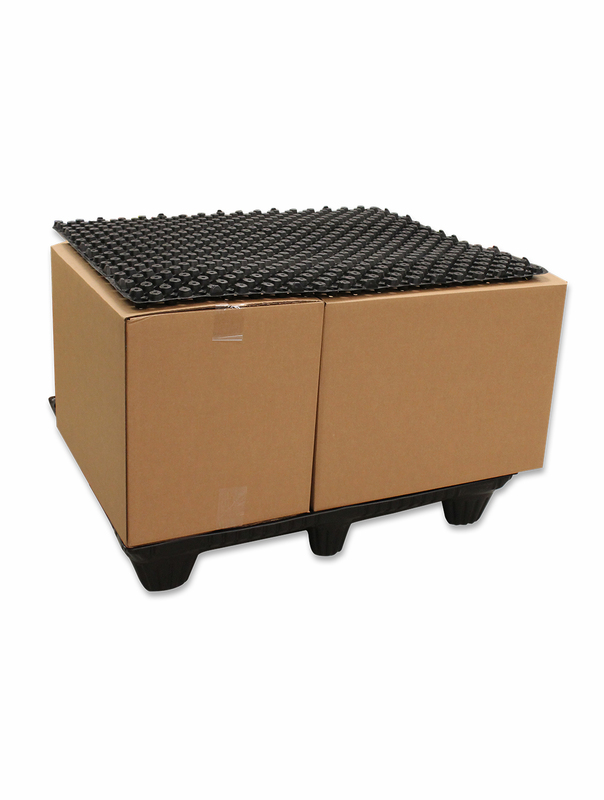 During storage and shipping these bulk bins stack securely atop each other. 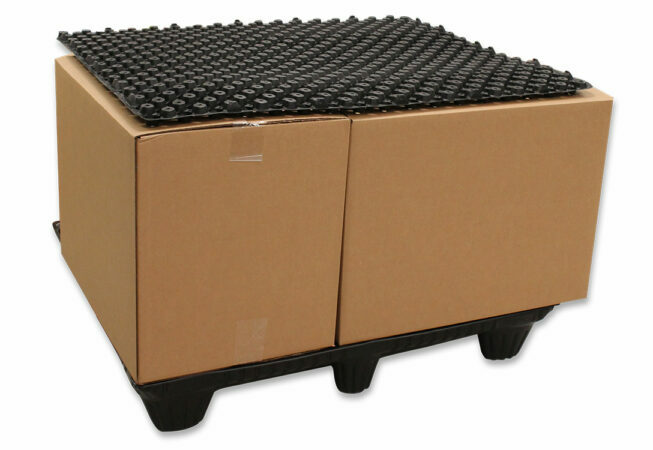 Palletboxes offer the strength and rugged durability demanded in today’s material handling and distribution systems. 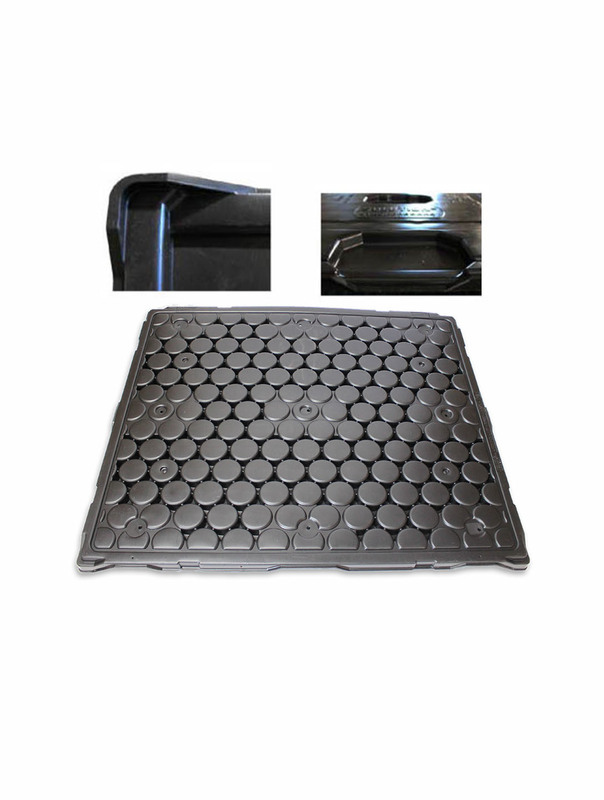 Custom protective dunnage is available. These plastic containers are fully recyclable at the end of their service life. Designed for blast freezing, this unique, durable and light weight freezer spacer reduces freezing time by 30% due to its multi-directional airflow design which increases freezing efficiency.